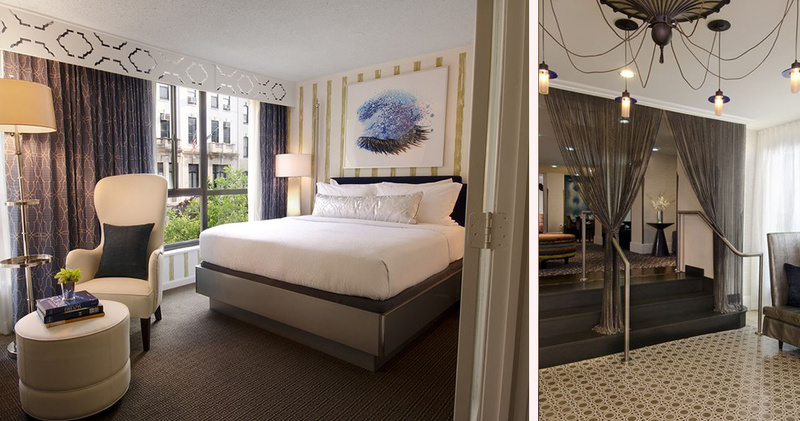 Topaz Hotel is located in the Dupont Circle neighborhood, close to Embassy Row and the White House. 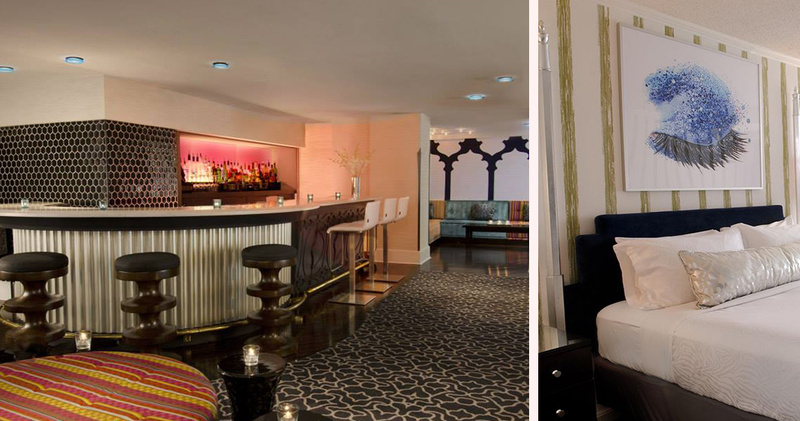 This sleek, modern hotel has a very playful energy and stylish decor. 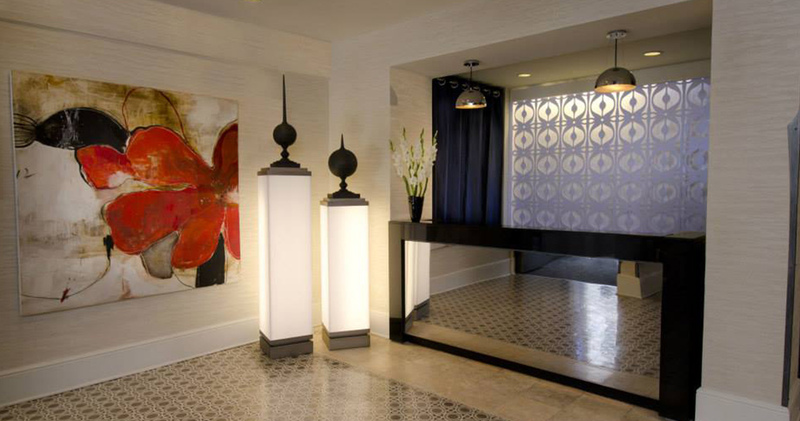 The lobby features rich jewel shades and metallic accents that create an inviting and luxurious atmosphere. 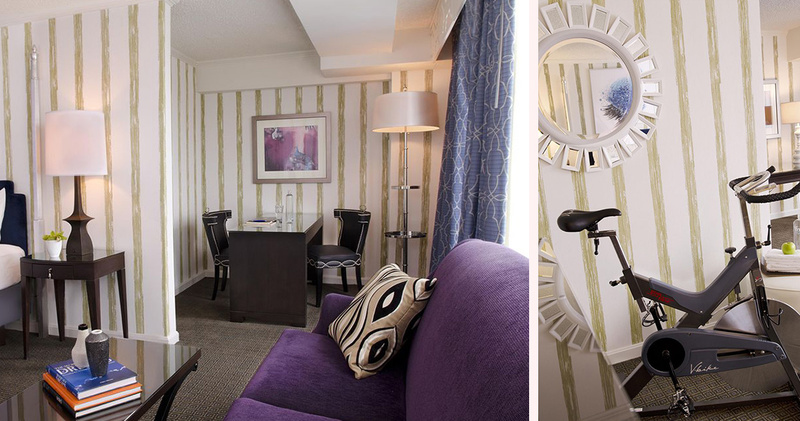 Topaz, a Kimpton Hotel focuses on the overall wellness of guests with amenities like complimentary yoga equipment, fitness DVDs and custom PUBLIC bikes. The hotel also has a complimentary wine reception and an evening nightcap service. Guests can also request for a goldfish companion in their room during their stay. 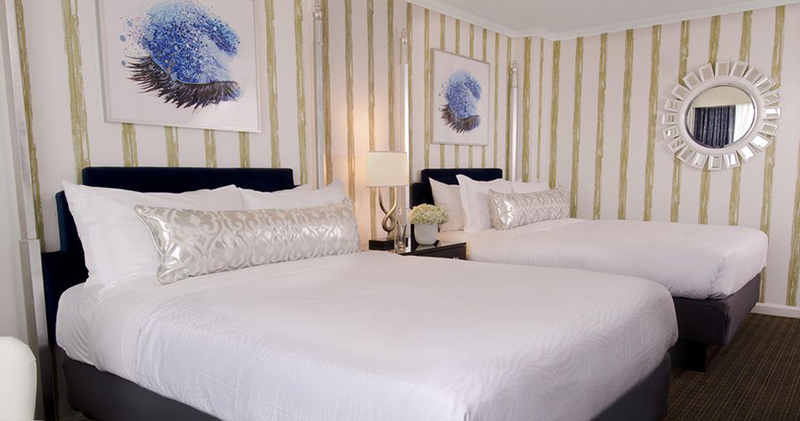 The guestrooms at the Topaz Hotel are spacious, airy and light. 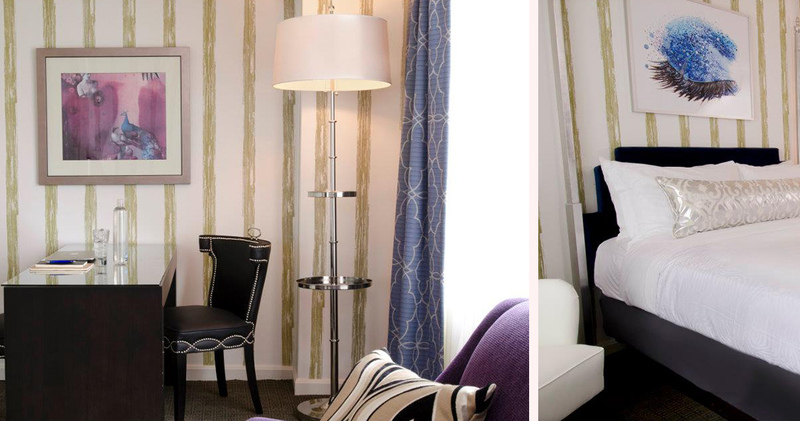 Guestrooms feature colorful Le Cirque and Moroccan influences with touches like a purple couch, elegant accessories and custom artwork. Each guestroom features a yoga mat, a spacious work area, an organic honor bar and a comfortable armchair. Large windows provide views of N Street. Beds feature plush down triple-sheeted comforters and crisp linens. 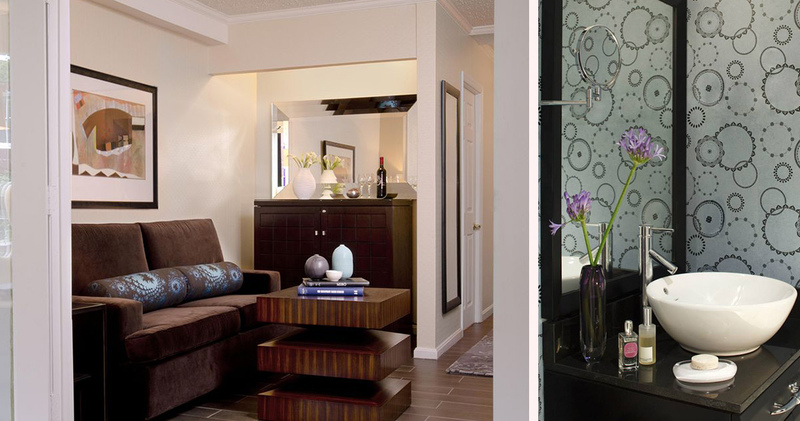 The bathrooms are spacious and bright and feature colorful wallpaper and the hotel’s signature animal print bathrobes. Topaz Hotel is home to the casual, cool Topaz Bar. 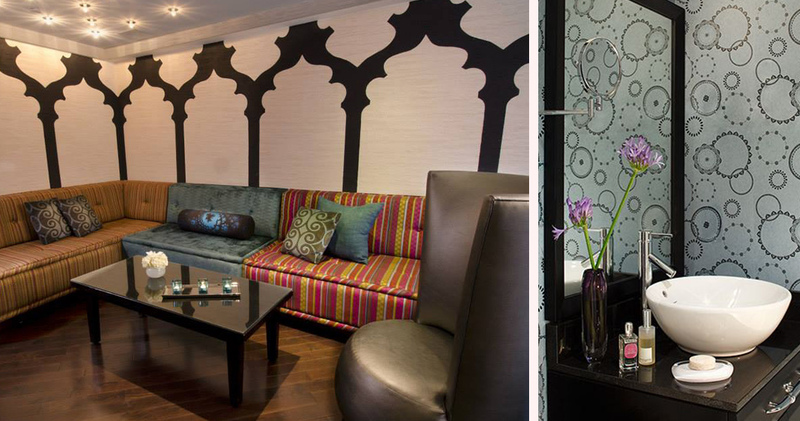 This lounge and restaurant has a contemporary urban style with Moroccan-inspired decor, plush furniture and rich colors. The chic Zen Den is a private retreat in the lounge. The restaurant serves sophisticated zodiac sign inspired cocktails, small plates and light fare.